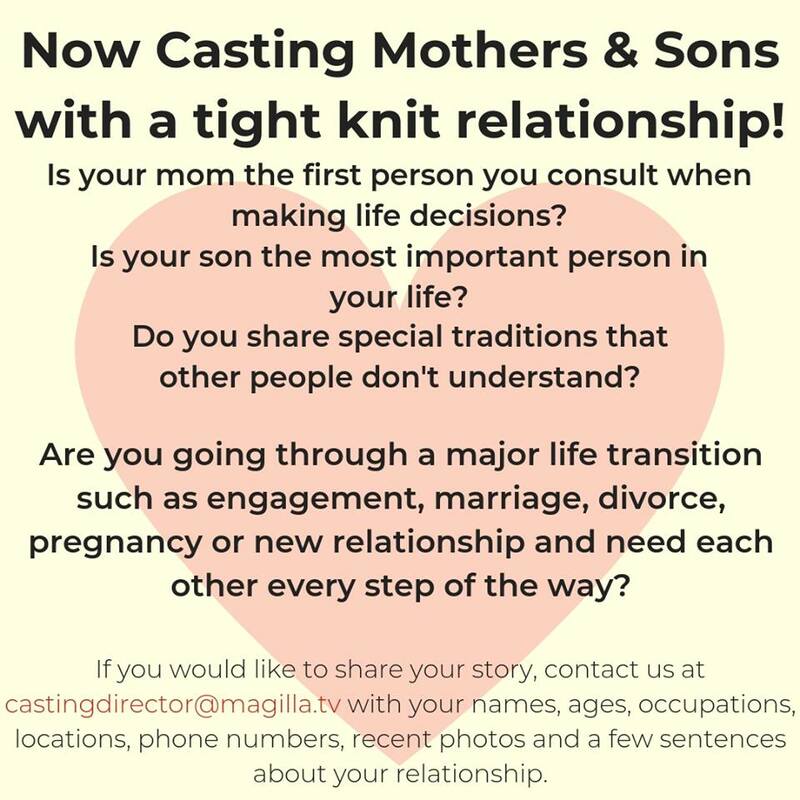 TV show is casting for mothers and sons who have a really tight relationship. Now Casting Mothers and Sons with a tight knit relationship. If you would like to share your story, contact castingdirector@magilla.tv with your names, ages, occupations, phone numbers, recent photos, and few sentences about your relationship.